Michelle was hired as a Support Worker in 2007 but prior to that she worked a year at The Retreat ~ Crossroads Treatment group care program. Michelle’s educational background is in social work and she is highly skilled at combining her work load with ongoing education. She’s always fine-tuning her skills in a variety of areas, both formally and informally. In her role as Support Worker, Michelle was instrumental in the development of our Crossroads program in Central Alberta – there was no office and there were no foster parents when Michelle began working in that area. 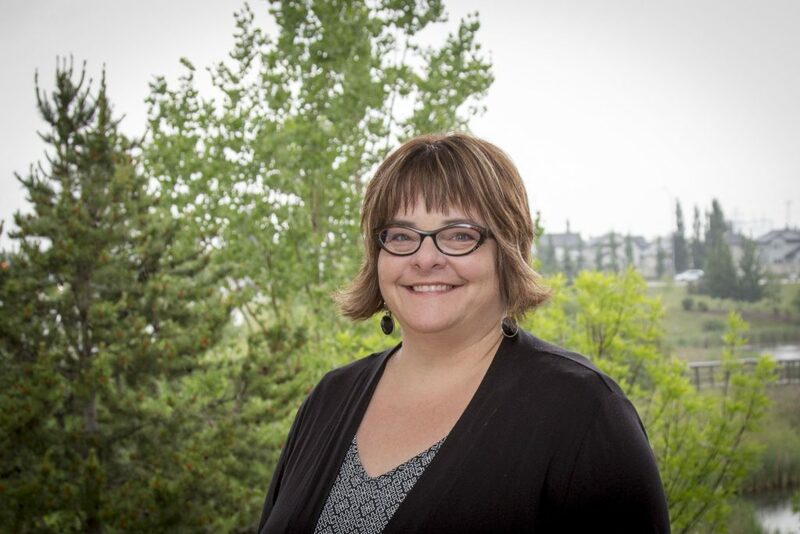 In 2012, she was promoted as our Central Alberta Program Supervisor, and in 2014 she became the Program Manager for all of Crossroads Foster Care contracts. Michelle was also a foster parent for over a decade. In addition to her two biological children, Michelle was fortunate to adopt one of her children and raise another foster daughter to adulthood. Michelle is a master multi-tasker – dictating emails, while driving and downing coffee on her way to one of her four Service Team Meetings a day. Michelle is a team player and a great collaborator. Her ability to think logically and see the good in everyone makes her a great team leader. Michelle is also a skilled interior designer and while one is waiting for a Caseworker to show up, she can flip through paint chips and choose the next colour scheme for one’s office or living space!